Primary school students participating in Tourism Quiz. NIA CHARLESTOWN NEVIS (February 05, 2015) – The following is a press release issued by the Ministry of Tourism on February 05, 2015. 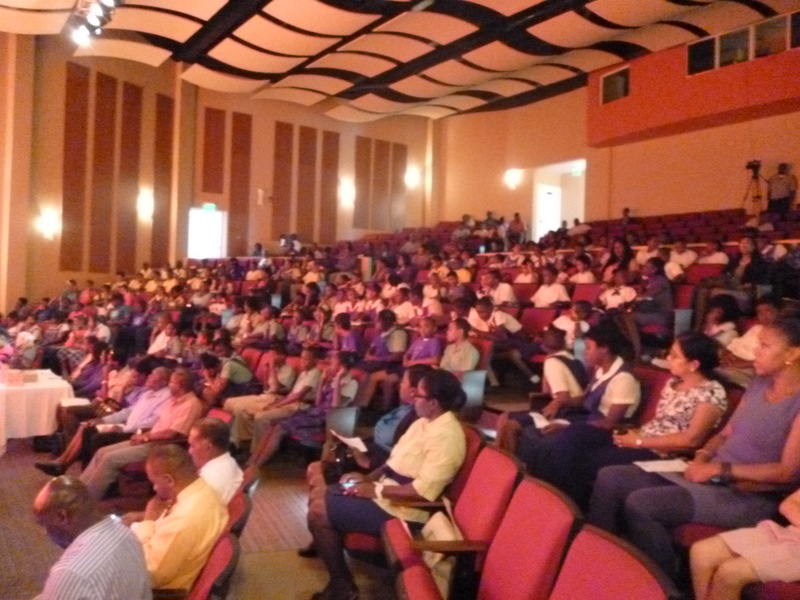 The Ministry of Tourism announces the 2015 Nisbet Plantation Beach Club Tourism Quiz for primary Schools on Nevis. 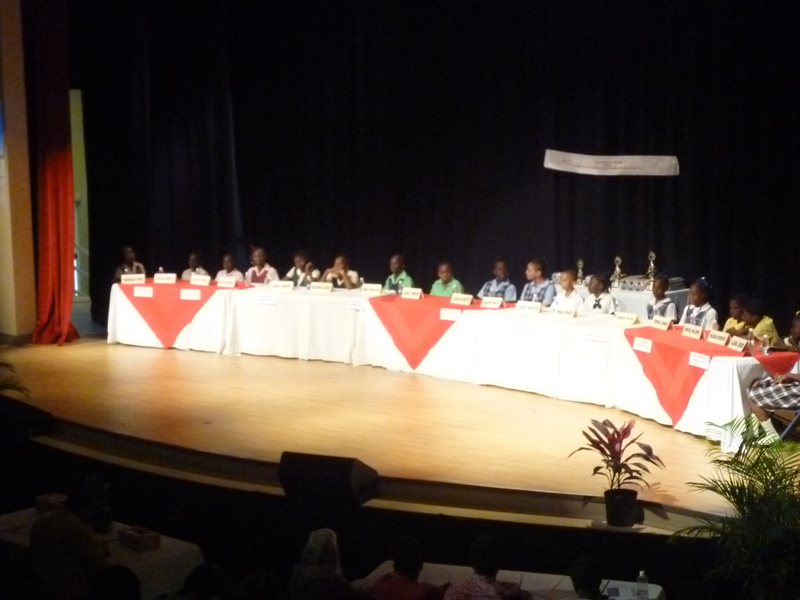 The tourism quiz is slated for Wednesday February 11 at 10:00 a.m. at the Nevis Performing Arts Centre (NEPAC). This year’s competition has attracted 10 schools and will see the Montessori Academy making its début. Defending champions the Ivor Walters Primary will do battle against the Maude Crosse Preparatory, Nevis Academy, St Thomas’ Primary, V.O Jeffers-Nicholls Primary, St James’, Jocelyn Liburd Primary, Elizabeth Pemberton Primary, Ivor Walters and Charlestown Primary Schools. The tourism quiz is a friendly learning contest, aimed at heightening awareness of primary school students to the island’s tourism product. It also underscores the important role tourism plays in advancing economic and social development locally and regionally, as the leading industry across the Caribbean. The main areas that will come under focus are cultural heritage, Caribbean geography and environment and Caribbean tourism. A victory trophy will be awarded to the triumphant school and all students will receive participating trophies; the runners-up will receive gift certificates and prizes from our tourism partners in the local industry. The Ministry of Tourism continues to register its profound gratitude to title sponsor, Nisbet Plantation Beach Club for its long-standing sterling support and partnership to host the tourism quiz. It also expresses appreciation to Bananas Bistro, Mem’s Pizzeria, Nevis Spring Water, Tropical Blossom Nursery and Landscaping Services. The Ministry also recognizes the contribution of the Department of Education, participating schools, students and parents, as well as supporting staff at the Nevisian Heritage Village and Tourism.